Here’s the thing. Hyundai did an amazing job in America with its long game of winning minds and market share. The low price point, 10-year warranty is the stuff of which Harvard Business School cases are made. I say long term, because that’s how you build a car brand – over time. It’s a considered purchase, an expensive purchase. Hyundai did it the right way and consumer perceptions of quality and value were growing more and more positive. When Peter Arnell did a branding assignment to make Samsung more a mainstream electronics brand 30+ years ago, it felt wrong. But it worked. The timing was right. The proofs were baked. Today Samsung rocks. 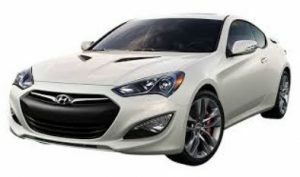 Genesis might have worked had it not been a Hyundai brand. Or if introduced 10 years down the road. But Alas, Poor Yorik, it was not.